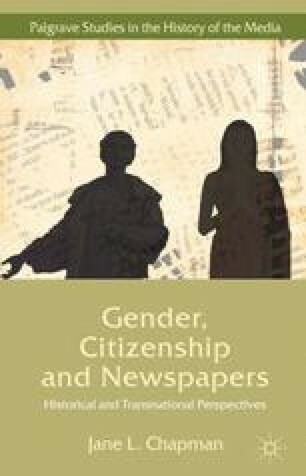 This chapter examines the way in which print communications were used as a counter-hegemonic vehicle for class and women’s activism in a colonial context. The relationship between citizenship and female influence in India reveals a discourse of awakening, with trends that differed from the domestic and cultural values underwriting the gendered consumer power and material acquisition in the Western world. In a colonial context direct action hit at the core of imperialist production with consumer boycotts and strikes that became the catalyst for a highly politicized manifestation of cultural citizenship. This is analyzed here by reference to French territories in India, through an examination of Tamil protesters’ communications during the first major strike where print public communications were significantly adopted as a vehicle for collective awareness and self-expression.